UFO SIGHTINGS DAILY: Black UFO Hides Over Clouds Caught By NASA Space Station Cam, Jan 27, 2017, UFO Sighting Daily. 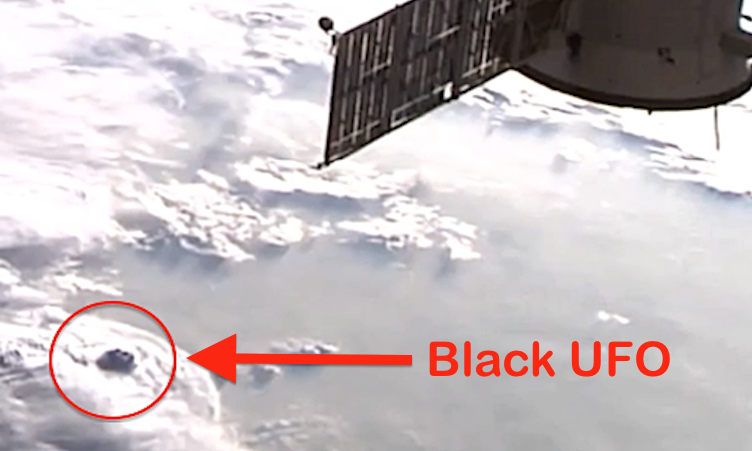 Black UFO Hides Over Clouds Caught By NASA Space Station Cam, Jan 27, 2017, UFO Sighting Daily. I was watching the live cam and was a bit irritated that they were going to blue screen and glitch screen about 65% of the time this week. Either they are trying to hide UFOs or they are causing their own glitches so they can finally shut down their spy cameras to the public. Yes, the two new cams which the public are not allowed to use can read a license plate of a car anywhere on the planet. A dark object passed on the clouds below the space station. The object has openings and was very black, making it easy to spot on top of the white clouds. Its non reflective black, much like a lot of the structures I have found on Earths moon. That is where the USAF got their stealth materials, alien tech.